Eastern Mojave Vegetation Frasera albomarginata flower. This is a close-up of a F. albomarginata flower. I took this photograph in mid-May, 1993. 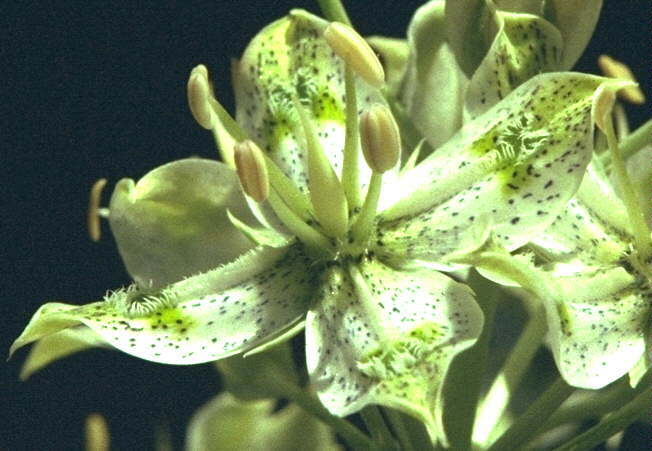 The species did not bloom again in any significant numbers until late-June, 1999. Autecology of Desert Elkweed Frasera albomarginata S. Watson (Syn: Swertia a.) Gentianaceae in the American Southwest: 100700. 152000.